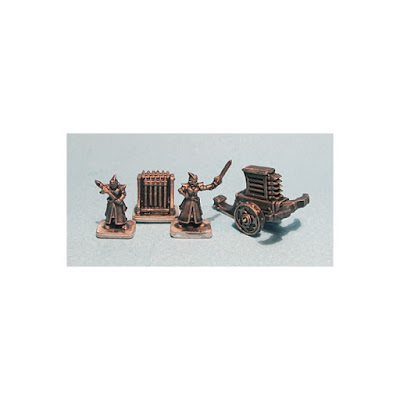 The Stygian Elves make extensive use of large, rapid-firing Ballistae﻿﻿ - launching massive, deadly bolts into the ranks of the enemy, skewering even men in full plate as easily as wild boars. 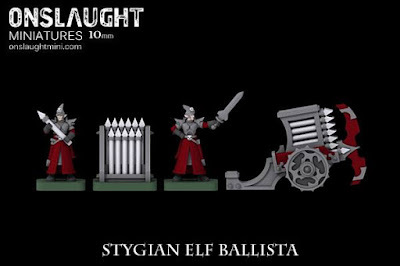 A Stygian Elf Ballista﻿ unit consists of 3 Ballistae﻿, 6 Crewmen, and 3 bolt racks. The Ballistae﻿﻿ can be assembled with a vertical or horizontal bow.